There’s gold in them thar schools! When you drive by an inner city school, it doesn’t exactly look like the Taj Mahal. Does it? Even relatively upscale suburban schools wouldn’t be mistaken for a house on MTV Cribs. And some of those fly-by night charter schools look more like prisons than Shangri-La. But I’ve got it on good authority that there’s $1.3 trillion available for someone who knows how to take it. That someone is Harold Levy, an expert on how to get rich through school privatization. The former chancellor of the New York City School System has begun a second career managing an investment company. “For-profit education is one of the largest U.S. investment markets, currently topping $1.3 trillion in value,” according to the Website for one of his master classes for rich investors. Wooo-weee! That’s a lot of money! To put it in context, that’s more than 10 times the amount the federal government spends on education per year. And it’s all yummy profit! So how do you get your hands on some of those delicious taxpayer greenbacks? No! I don’t mean increase education budgets for traditional public schools that can barely make ends meet! I mean invest in shiny new charter schools. Lend money to a for-profit company to build a new charter school. If you do it just right, you’re almost guaranteed to double or triple your money in seven years. You’ll want to take advantage of the New Markets Tax Credit (NMTC), which began in 2000 at the end of President Bill Clinton’s administration. This will give you a whooping 39 percent tax credit. But here’s the best part, since it’s money you’re lending, you also get interest on it! And if that weren’t enough, you can piggyback all kinds of additional federal tax credits on top of that – things like historic preservation or job creation or Brownfield’s credits. That doesn’t sound legal, does it? But it is! In case that has you feeling queasy, you can hide what you’re doing by funneling the whole thing through a large non-profit organization like the Gates Foundation. They’ll be more than happy to help. They’ve done it for so many before you anyway. Here’s the best part. A CDE isn’t required to release information about who its donors are or how much they’re spending. So on paper the CDE – not you – gives the money to the non-profit, which, in turn, loans the money to a charter management organization. It’s like money laundering. No one can tell where the funds came from and thus it’s easy to escape from federal regulations or any appearance of wrongdoing. There is a catch, however. You’re probably going to need a substantial amount of capital to put forward – at least a million bucks or so. No bank’s going to waste its time with only a few hundred thou. This method is perfect for those who are already wealthy and want to increase their wealth or hedge fund managers out to boost their clients’ portfolios. But maybe you just aren’t into the whole hedge fund game. Maybe you’re not the banking and investing type. You can still make oodles of cash off public schools through real estate. Here’s what you do – buy up cheap inner city properties that can be renovated or repurposed for charter schools. Then when a school privatization firm wants to set up shop in an impoverished city like Philadelphia, Chicago or Detroit, it needs someone like you to open the door. You’ll get to charge the charter corporation rent and – get this – that’s not price capped! You can charge whatever you want! As long as you’ve got a good spot and no one else is trying to beat you to it, charter corporations are willing to pay bookoo bucks to get their money-making enterprises rolling! A good rule of thumb comes from privatization expert Charter Schools USA, which recommends rental costs not exceed 20 percent of a school’s budget. However, there are plenty of examples of charter schools paying 25, 30 even up to 43 percent of their money just on rental costs! Ca-Ching! And if you really want to boost the bottom line, open a charter school, yourself! That way you can both rent out the real estate and pay for it! Think about it. Who sets the rental price? You do. Who pays the rental price? You do. So you can pay yourself WHATEVER YOU WANT! And where does the money come from? The taxpayers! Doesn’t sound legal does it? But it is! According to the Miami Herald, which conducted an in-depth investigation into these practices, many of the highest rents are charged by landlords with ties to the management companies running the schools. Property records show at least 56 charter schools in Miami-Dade and Broward counties sitting on land whose owners are tied to management companies. Of course there are so many other ways to set things up like this with a charter school. Unlike most traditional public schools, charters contract with for-profit companies for everything from curriculum development to construction. So there are many opportunities for creative investors to figure out how to both set the price and pay it TO THEMSELVES! Moreover, every state has different laws about charter schools so check for loopholes. You’ll find ‘em! Just don’t forget to set up that CDE to hide your shady dealings from the public. After all, if taxpayers could easily see how you’re sucking up their hard-earned money that they thought was going to help school children (Tee-hee!) they wouldn’t be happy. Since the Immigration Act of 1990, investors have been allowed to purchase visas for their families by investing in U.S. corporations. Just stash some cash into a hotel, ski resort or charter school and – voilà! – Move directly to GO and collect way more than $200! It’s called the EB-5 visa for Immigrant Investors. For the low price of at least $1 million -or $500,000 to a rural or high unemployment neighborhood — you can get visas for the whole family. Sounds like some crazy new loophole – right? It isn’t. It’s been around for decades. Every year, the federal government hands out 10,000 of these visas. So while Syrian refugee children drown seeking asylum, wealthy foreign nationals get an express ticket to the US of A. You might be thinking, ‘That gets me into the country, but where do I cash in?’ Easy. You now have a stake in a U.S. charter school and have access to all the same easy money as native-born investors. It’s an incredibly lucrative model even for those more interested in the Prophet than profit. Just look at Gulen charter schools. It’s the largest single charter school network in the country. More than 150 schools in Texas, Ohio, Illinois and other cities are funded by Turkish investors following an Islamic nationalist named Fetullaf Gülen. These schools are part of a “worldwide religious, social and nationalistic movement in his name,” according to the New York Times. Be warned. Many of these schools are under investigation for using U.S. taxpayer dollars meant to educate U.S. children in non-educational or otherwise shady ways. Some of this tax revenue has allegedly been spent on political and religious causes championed by the Prophet Gülen. Other funds have gone to controversial educational practices. For instance, instead of hiring local teachers, the chain is infamous for shipping in Turkish educators to the United States. As if it wouldn’t be cheaper to hire locals! And guess where the money comes from to pay for these Turkish teachers’ visas? That’s right – from the charter school’s funding! Still. Even with a few setbacks, there’s never been a better time to invest in the privatization of public education. Sure there are financial, behavioral and educational scandals at charter schools throughout the country being discovered everyday. But fortune favors the brave! Money is just hanging on the tree waiting to be plucked. It’s hard to walk into a charter school and not come out with pockets fit to bursting with cold, hard cash. In fact, the only folks not making bank in this whole scheme are the teachers! 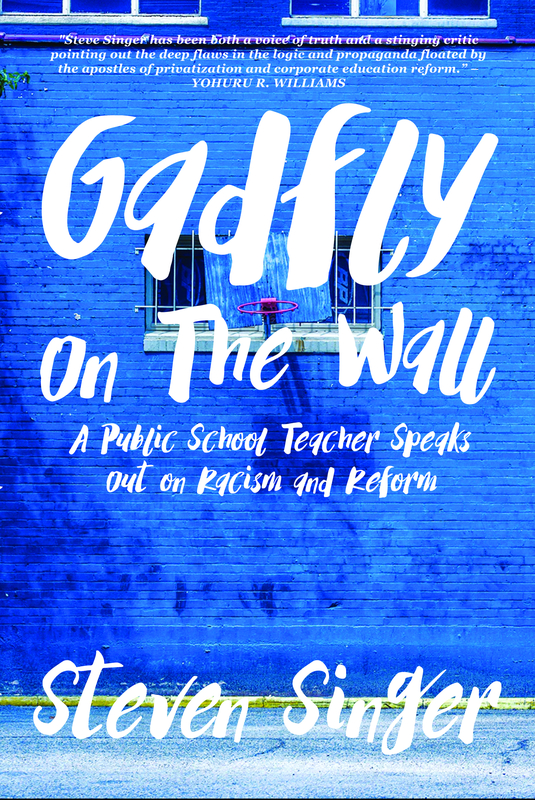 Teachers at charter schools – where unionizing is often prohibited – take home even less than those working at traditional public schools. And those traditional educators aren’t getting rich, either. A new report by the Center for American Progress argues that U.S. teachers usually have bad starting pay and are unlikely to see major salary gains even after several years of teaching. “The bottom line is that mid- and late-career teachers are not earning what they deserve, nor are they able to gain the salaries that support a middle-class existence,” the report concluded. There appears to be a golden rule in education: the less you actually help students learn, the more money you get to take home. Perhaps if public schools were kept out of private hands where profit is the overwhelming motivation for everything you do, things would be different. But thank goodness that isn’t happening! Don’t be a sap. Don’t be a teacher. Don’t help children. Invest in a fly-by-night charter school and get rich! NOTE: This article also was published in Commondreams.org. Bravo, Steven! A tour de force! There’s gold in them thar schools via legalized fraud! Teacher salaries look less bad for US teachers if we look at the level of salaries rather than the rate of growth. For example, in 2011 (the latest figures I could easily find), a beginning teacher in Japan would earn $26,031, after 15 years $45,741, and max out at $57,621. For Korea the figures are $27,581, $48,251, and $76,528. The figures for the US are $37,595, $46,130, and $53,180. Despite the fast growth rate in salaries over the last 15 years, beginning teachers in Japan and Korea earned $10,000 a year less than beginning teachers in the US. After 15 years of teaching, US teachers would still be earning more than teachers in Japan and about $3,000 less than teachers in Korea. The maximum pay for US teachers is a bit below that for teachers in Japan, and significantly below that of teachers in Korea. There are also many other things to consider other than salaries. For example the student teacher ratio in Korea is about 3 higher than in the US and teachers in Japan work the longest hours, reported to be as high as 54 hours a week. Of course the differences in teacher pay in the US are larger than the differences between average teacher pay in the US and Korea. Average teacher pay in South Dakota appears to be about $39,018 while in New York appears to be about $75,279. The ironic twist here is that it’s not just wealthy individual investors that invest in charter schools. Institutional investors, including teacher pension funds may also be inadvertently contributing to the privatization of public education through their investments with hedge funds. I say inadvertently, because hedge funds maintain a proprietary interest over their portfolios and are not required to disclose where they are placing their bets. Board members overseeing teacher pension funds in NYC also consider this line of inquiry as irrelevant to their fiduciary duty to secure returns adequate to meet outlays. The NYC Teachers Retirement System, with over $100 Billion in assets (QPP & TDA combined) has three teacher representative on its board but they don’t know if the fund is invested in charter schools and to my knowledge they have never asked. Hillary Clinton does not support repeal of the New Markets Tax Credit signed by her husband in 2000 yet this didn’t prevent AFT Pres Weingarten from endorsing Clinton early on so there will be no critical inquiries coming any time soon from this quarter. I’d like to see Sanders challenge Clinton specifically on this tax credit for the wealthy and institutional investors. The only public official who does know where the bodies are is the NY State Controller but he is not at liberty to divulge proprietary information. Such interesting concepts… too bad I don’t have an extra $1 million floating around. Instead, I survive on a teacher’s salary. “Perhaps if public schools were kept out of private hands where profit is the overwhelming motivation for everything you do, things would be different.” And whose hands should keep it? Others also are humans. And humans will always find a way to earn more. The lust for profits fuels development and this whole article describes it’s side-effects. The system eats itself, progressively and whoever could stop it – everyone who could – is simply busy, too busy earning own profits. No system is perfect but one that celebrates open greed as its reason for existing is worse.